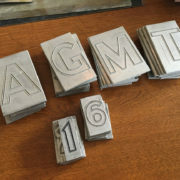 A monument font based on a custom metal lettering set created by Delano Granite Works. 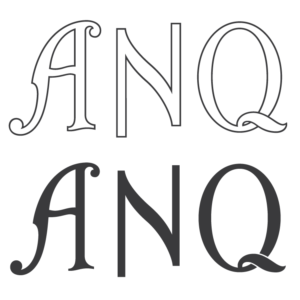 Both OpenType and TrueType font formats included with the download. Delano Granite Works of Delano Minnesota created this version of the Modern font, a name used in the monument industry for many sans-serif art deco inspired fonts. 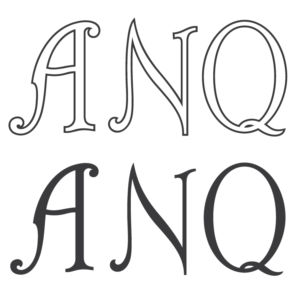 The alphabet was created in-house by the company as aluminum letter sets, and as far as it is known was never made available to the industry at large. 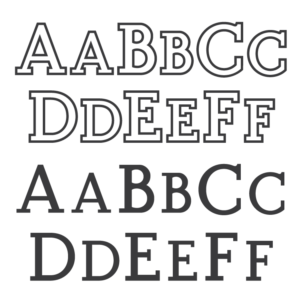 The specific individual who designed the letters of the alphabet is not known. At least two sizes were created, one at 1″ and another at 1.75″. The Monument Lettering Center created 4 versions of the font, Regular (with no outline), Outline (will match the 1.75″ aluminum letters), Outline 2 (an average outline thickness between ‘Outline’ and ‘Outline 3’), and Outline 3 (will match the 1″ aluminum letter sets). 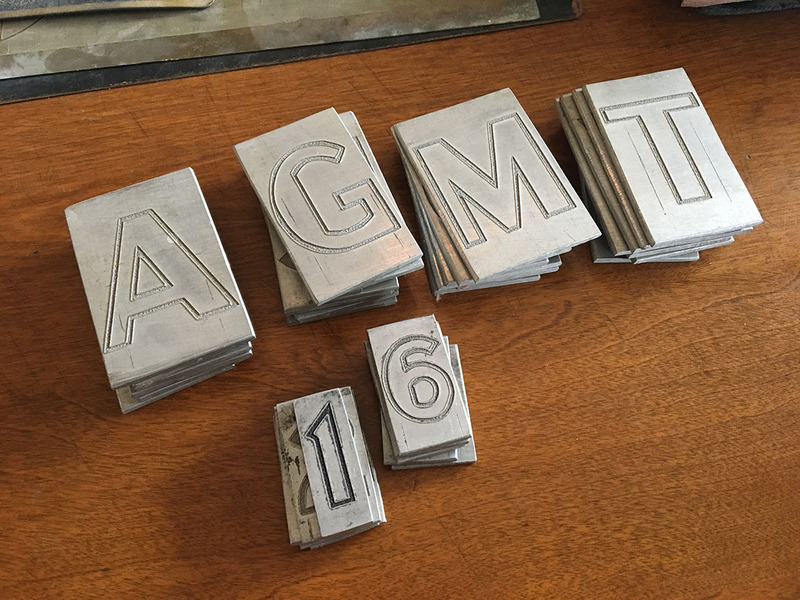 Delano Granite Modern aluminum letters. 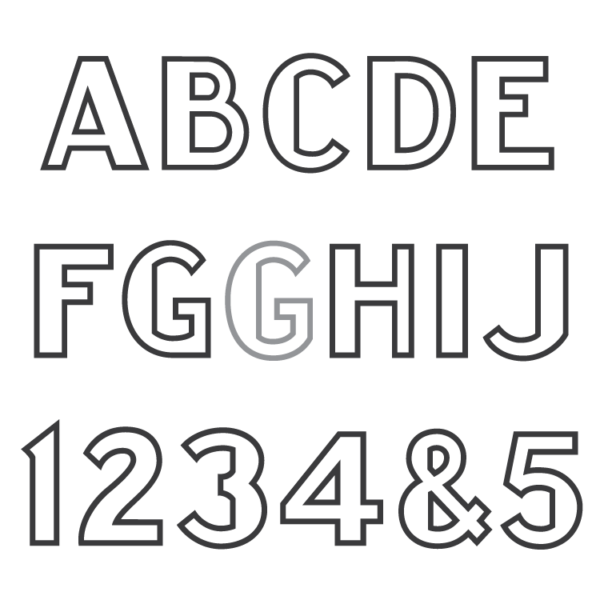 Several characters are including the letter ‘G’, ‘K’, ‘R’, ‘S’, ‘Y’, and the numerals ‘3’ and ‘8’. The bottom curve of ‘U’, and ‘J’ meet the stems at sharp angles instead of smooth transitions, and is also seen with an even more exaggerated effect on the bottom right side of the letter ‘G’. The numeral ‘8’ is the easiest character to distinguish the alphabet, as it is not repeated in any other monument font. 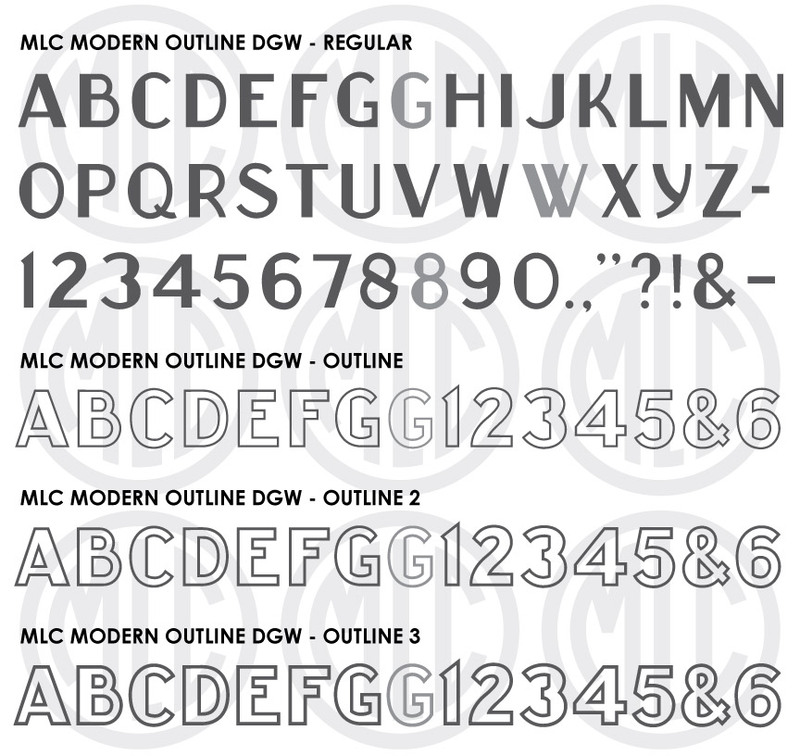 The letter sets used to create the MLC version of this font contained no punctation. The MLC used existing examples found in the cemetery to make the period, comma, and hyphen. All other punctuation was created by the MLC. The Monument Lettering Center also created alternate versions of the letters ‘G’, ‘W’, and ‘8’, which are available in software that support OpenType features.